CF-104 , 104800 Friends of Norwegian starfighters got CF-104 104800 om permanent loan and it was first taken out as instructional at Bodø Videregående skole avdeling flyfag since they got F-5A tail no 133 instead. Originally the aviation museum , Norsk Luftfartsmuseum , Bodø received this as first priority but they thought CF-104 801 did the job as an museum aircraft well so they gave it to the friends of starfighters, Bodø instead. CF-104 104800 participated at Bodø Airshow 2012 , 16-17 june.2012 and I saw it both days in a shelter in the exhibition area. 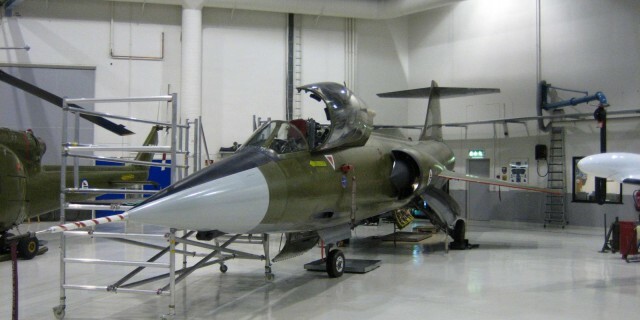 It then went to Bodø Airbase later in june.2012 and stored in QRA shelter , that is a combined shelter and club house. It is/was stored in QRA shelter june.2012-nov.2012 ? Current in nov.2012 stored outside shelter ? or in underground shelter called anlegg 96 , this is not known. CF-104 , 104870 CF-104 104870 participated at Bodø Airshow 2012 , 16-17 june.2012 as it was shown preserved in Bodø town at a shopping mall called City Nord temporary a couple of weeks. only to promote the airshow. 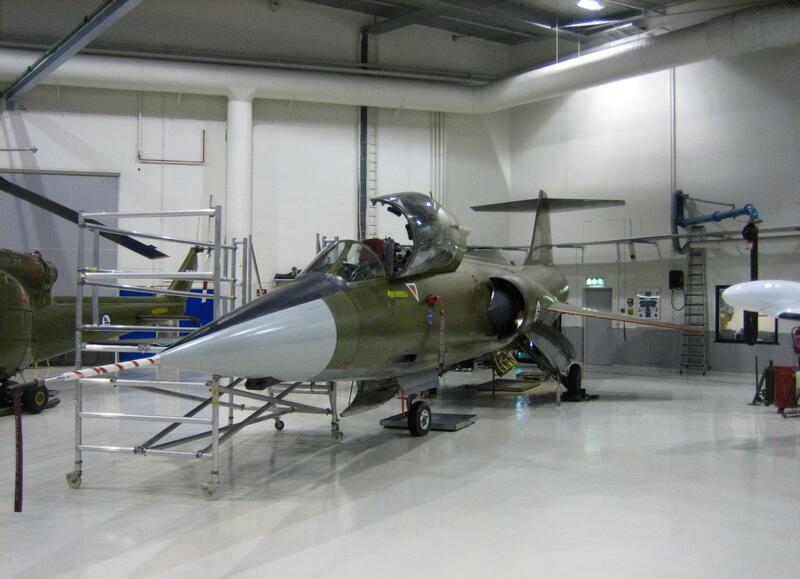 Stored in QRA shelter until june.2012 when CF-104 800 took it s place. Current in nov.2012 stored outside shelter ? or in underground shelter called anlegg 96 , this is not known. CF-104D , 104637 Has lost shelter 404 location and will from on nov.2012 be based in QRA shelter where CF-104 800 and CF-104 870 have been previously.